Phoenix is a supplier of a range of versatile, quality butcher refrigerated serve over counters. Our carefully selected dealerships allow us to offer both high-end prestigious serve overs and mid-range butcher, deli, cheese, fish serve over counters to cater for all market needs and trends. 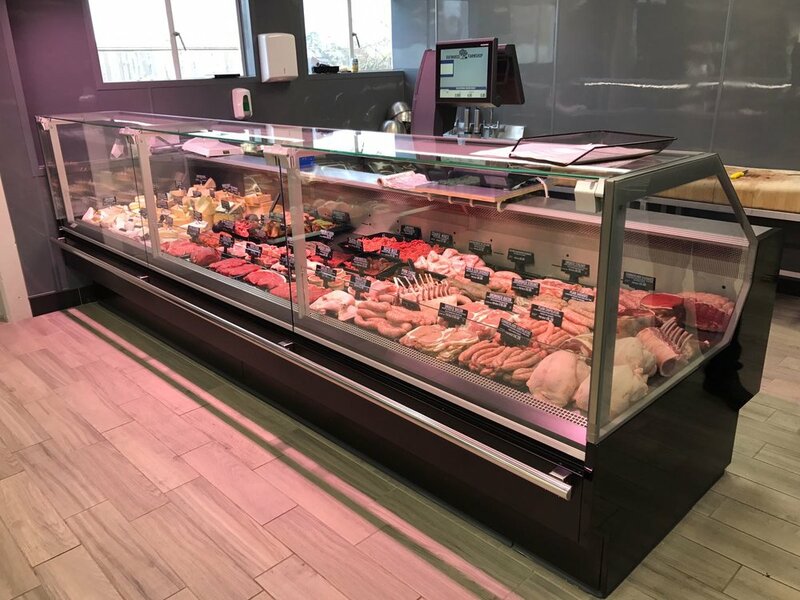 Phoenix Retail are proud to be the main UK Smeva dealer with over 15 years experience, and supply high quality refrigerated butcher serve over counters to many Q-Guild butchers and supermarket retailers alike. 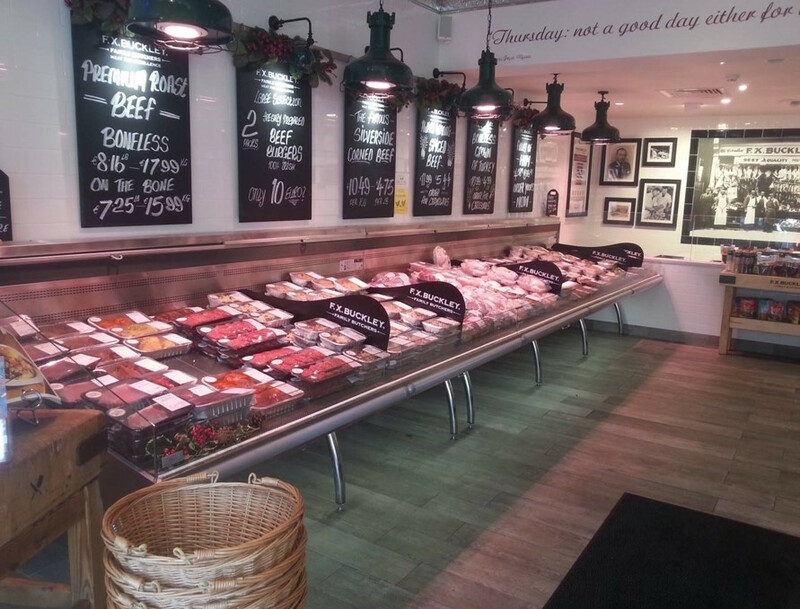 Alongside butcher, deli and cheese refrigerated serve over counters we also have a range of standard and bespoke fish counters. Our flexibility and passion to provide the best possible service and solution is key to our success and is demonstrated by the variety of projects we have accomplished, which are available for review under our Installations page. Phoenix's relationships with some of the UK's most talented engineers allow us to deliver installations which are a cut above the rest. Phoenix can offer bespoke accessories to suit each retailer’s needs, including handbag/purse ledges, bumper rails, scale platforms, cutting boards, pay trays, under-storage, paper bag holders and knife holders amongst other items. No project is too big or too small. Please visit our Installation page for more information. Smeva specialises in butcher refrigerated serve over counters and self-service units for speciality stores and supermarkets. The units are modular in form, with standard components that can be adapted and expanded very flexibly, offering a huge range of possibilities. Whether it's a butcher refrigerated serve over counter or for other specialist products such as deli, fish or dairy, Smeva's counters meet the most stringent of conditions. Smeva counters have the lowest total cost of ownership counter in the marketplace. Smeva's Vision is classed as a 'money making' serve-over. With Smeva's Vision Serve Over Counter, all sorts of fresh produce can be displayed in the best possible conditions. Smeva's patented EuroSafe refrigeration system guarantees ideal meat temperatures and the lowest industry dehydration levels. The patented WeightSaver humidification system keeps produce juicy, fresh and tender by optimising the humidity within the deck area. The Weightsaver humidification system minimises product dehydration levels to only 0.73% over a 24 hour period. The refrigerated fixed deck makes cleaning an easy task, saving staff valuable time and you money. Frost-trol is a family owned Spanish counter manufacturer founded in 1957. They are Eurovent certified giving you the assurance that their engineering is certified by the outside body to the nighest standards. Phoenix have been acting as the company's UK dealer since 2012, and were selected by the manufacturer because of Phoenix's reputation for quality in the UK. Consistent Improvement is one of Frost-trol's main objectives. The company aspires to manufacture better products, provide a better service and to keep innovating. The Sea's collection offers the retailer a variety of remote counters. Sea's counters generate added value to commercial stores with their attractive product displays, improving the customers' retail experience. Alongside their remote cabinets, Frost-trol offer the 'Lakes plug-in' collection. The plug-in collection comes in a variety of styles, with a high end range of accessories. Low global warming (GWP) refrigerants are available to environmentally conscious retailers. Hydracooling commenced manufacturing in 2009. The company took key members of former Trimco, and set up a new company manufacturing a range of innovative, stylish and competitively priced counters and cabinets. One of the advantages of being a small manufacturer is that Hydracooling can react quickly to change, and offer a custom friendly product and service. Phoenix have been selling Hydracooling display counters across a variety of food retail outlets - delicatessens, cafes and restaurants. The sharp design features present produce in a clear cut fashion.